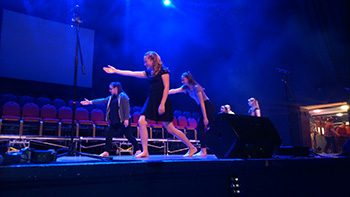 Musicians and dancers took part in the Portsmouth School’s Music Festival at the Guildhall on Tuesday 30th June, 2015. 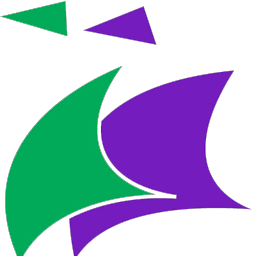 The festival is a four day music event including schools, colleges and organisations of all ages from all over the city and beyond. It is always fantastic to be involved and this year we had lots of students taking part in different performances and projects. Year 7, 8 and 9 singers participated in the secondary school massed choir performing songs on the theme of animals, including ‘Tiger Feet’, ‘Rockin Robin’ and ‘Hungry like the Wolf’. The choir sounded incredible together and performed some challenging parts and harmonies with confidence. They were supported by a rock band of students from Portsmouth College which included many of our ex-students! ALNS was once again selected for the Festival song writing project this year. The Festival send in a university student to work with our students for several weeks on their own songs which they perform as a band during the festival. Year 8/9 band (Simon Manchip, Oakley Perkinson, Daisy Crawford, Ella Fitzgerald and Charlotte Coqueral) performed their two original songs like rockstars! They were supported by Aimee Smith, a talented student from the Brighton Institute of Modern Music who helped them to write their songs and present their performances. Our new project for the Festival this year was our contemporary dance piece, choreographed by Vicki Mains, one of our parents and a very talented dancer. The KS3 contemporary dance club, started by Mrs Pascoe has been well attended at school this year and it was great to see the students perform at the Guildhall. The excitement continues as our Year 9 rock band will be performing on stage again at the Portsmouth Guildhall on Thursday, 13th August 2015 at 6.30pm as part of a ‘Jools Holland’ style youth music event. The event is being put together in collaboration with the Portsmouth School’s Music Festival as part of the Guildhall’s 150 year celebrations.